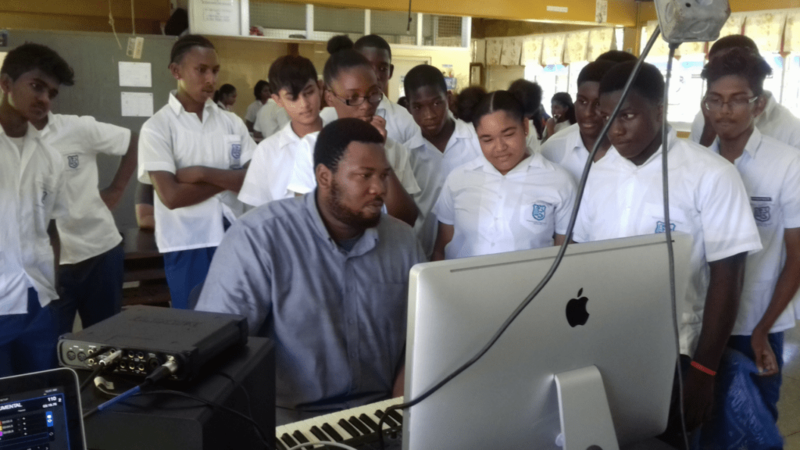 Located in one of Trinidad and Tobago’s significantly historic towns, Fyzabad Secondary School has been a trademark of excellence in Music and the Arts for decades. On Friday November 17th, 2017, the school continued along this path of impressive achievements with its successful hosting of its Annual Science Fair- i-Science Event. 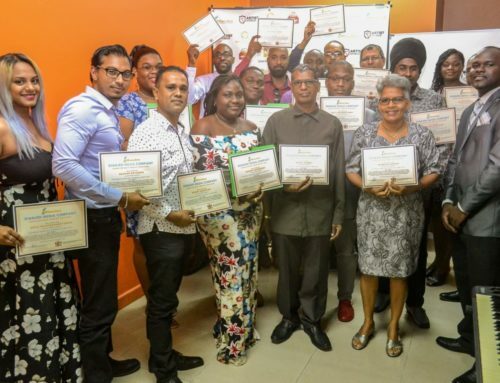 As a leading Music Industry Training organization in Trinidad and Tobago, we at DianJen were delighted to participate in this year’s event. The event was geared towards sensitizing students to the application and importance of science to their daily lives, showcasing the use of technology in science and featuring careers in the field. 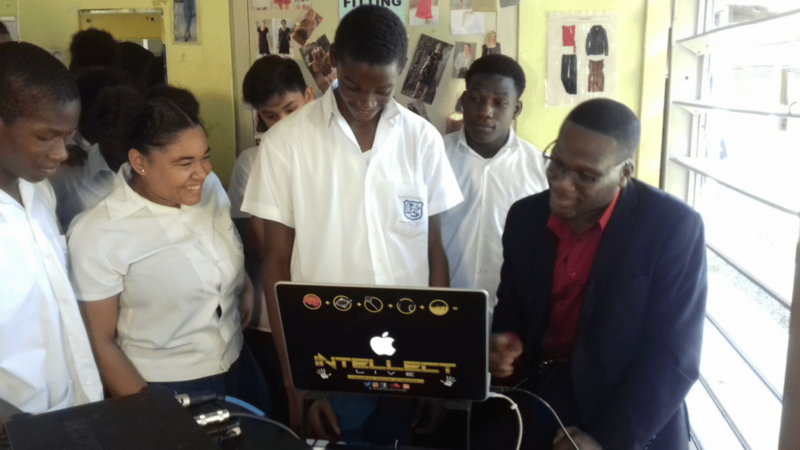 DianJen’s participation in the event sought to make linkages between Music, Technology and the Secondary School Science Curriculum. Students were provided with lectures on Audio Recording; particularly the concepts of Acoustics, Pitch and Timbre and connections made between theory and the operation of various Musical Equipment. Additionally, students were treated to Music Production and DJ demonstrations and given general advice on pursuing careers in the Music Industry. One of the day’s highlights was the On-the-Spot production of an original Calypso by Ms. Jada Victor- a Form 2 Student. Participating students, witnessed the impromptu production of the music for the Calypso, basic mixing techniques and finally the vocal recording. 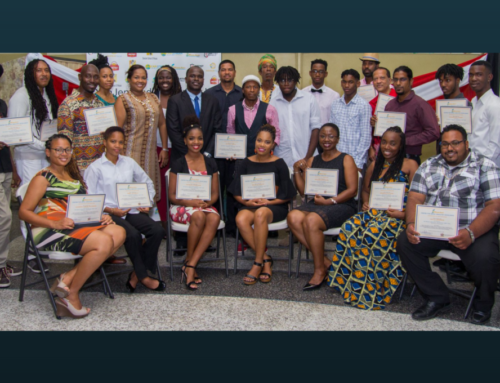 The DianJen team was headed by its Founder, Farley J. Joseph who was accompanied by Music Producer, Isaac Farrow and DJ Intellect. Other institutions participating at the event included: The National Energy Skills Centre (NESC) and the Institute of Marine Affairs (IMA). Special congratulations to the school’s administration for facilitating an excellent event in addition to its hard-working teachers: Ms. Ramoutar (Science), Ms. Smith (Music) and Ms. Gittens (Head of Science Department A.g). The inclusion of Music Technology showcases in events such as these is significantly important; given the opportunities that exist locally and regionally for skilled Music Producers and Live Sound Engineers and the need to grow our Creative Industries as we attempt to diversify our economy away from Oil and Gas dependence.